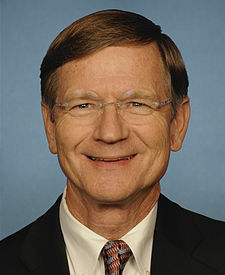 Washington, D.C. – House Judiciary Committee Chairman Lamar Smith (R-Texas), Monday, criticized the Obama administration’s decision to impose new reporting requirements for gun sales in states along the U.S.-Mexico Border. Monday's announcement follows months of controversy over the ATF’s Fast and Furious program that allowed guns to be trafficked into Mexico without any way of preventing the guns from being used for illegal activity. One of the guns was used in the shooting death of U.S. Border Patrol Agent Brian Terry. It is the height of hypocrisy for the Obama administration to restrict the gun rights of border state citizens, when the administration itself knowingly and intentionally allowed guns to be trafficked into Mexico. Limiting the second amendment rights of law abiding citizens is not going to solve the problem of guns being trafficked into Mexico. An additional reporting requirement won’t stop drug cartels from getting weapons. This rule unfairly punishes citizens in Border States who have the right to purchase firearms to protect themselves and their families from dangerous drug traffickers and human smugglers. A recent GAO report found that only 44% of the Southwest border is under operational control of the Border Patrol. Forty-four percent is a failing grade. If the Obama administration is serious about preventing guns from being trafficked to Mexico, they simply need to secure the Southwest border, not restrict the rights of law-abiding citizens. Gunwalker and the Scandal that has Killed American and Mexican Law Enforcement Agents!